During these days, HTC is announcing a line up of new mobile phones for MWC 2011. Interesting and exclusive news is arrived on internet that HTC is preparing a new flagship android powered smart phone named as HTC Revolver. 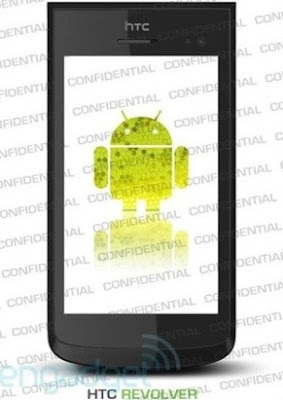 It will be due for release in the 4th quarter of 2011 and on AT&T. Price of HTC Revolver is not announced yet. 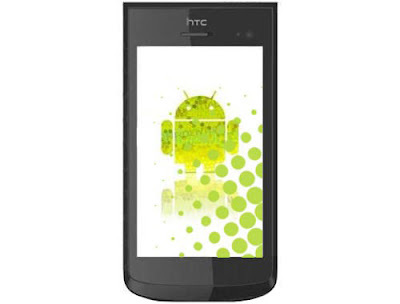 This mobile phone of HTC runs on new operating system which is Honeycomb Android v3.0 operating system. HTC Revolver is powered by 1.2GHz powerful dual core processor. HTC revolver is featured with 4.3 inches capacitive LCD touch screen display and supports multi-touch input method. Sensors employed in HTC Revovler include digital compass, Proximity sensor and Accelerometer sensor. It is supported by 8.0 mega pixel camera sensor with a resolution of 2048 × 1536 pixels. This camera is with digital zoom and AF that enables a user to capture all special moments in good quality images. The quality of video recording is also appreciable as it produces natural and awesome memories. First time I have heard that the front and secondary camera employed in a smart phone is of 3.0 mega pixels with a resolution of 2048 × 1536 pixels. Secondary camera allows a person to make video call or live chat. A wide range of connectivity is available with HTC Revolver. That’s why it is said multiple-connectivity is provided with HTC Revolver and it includes EDGE, Bluetooth 2.1 with EDR, GPRS, 3G and Wi-Fi. Storage memory of this mobile phone can be expandable up to 16 GB via memory SD card. A user can enjoy instant messaging via Google talk. The operating frequencies of HTC Revolver will be HSDPA 2100 Mhz and on GSM network it will be 850 / 900 / 1800 / 1900. it supports MP3 ring tones and polyphonic ring tones. A person can also enjoy push mail feature with HTC Revolver. A 3.5 m audio jack is also employed in this mobile phone of HTC This smart phone is going to prove Google wrong. Some days before Google said that Android 3.0 Honeycomb is only for tablet and there are no near chances that it will come with smart phones. Additional features of HTC Revolver includes multi format music player, GPS with AGPS, multi format video player, access to social networking sites, micro USB 2.0 port and HTML Browser. It is expected that this handset will be available in single universal color which is black.